Durango football players begin playing in pads and helmets in second grade. The study, which was published Tuesday in the medical journal Translational Psychiatry, showed those who participated in football before age 12 were twice as likely to have problems with behavior regulation, apathy and executive functioning – including initiating activities, problem solving, planning and organizing – when they get older. The younger football players were three times more likely as those who took up the sport after age 12 to experience symptoms of depression. Stern said the results were not tied to the total number of years the subjects participated in football or the highest level at which they competed. Perhaps most important, the findings also weren’t impacted by the number of concussions the former players reported, he said, meaning the dangers posed by football can’t be boiled down simply to big hits. Researchers are increasingly focusing on the effects associated with the accumulation of smaller hits that a player might more easily shake off during a game or practice. The Boston University researchers studied 214 former American football players. The average age was 51, which means the average study participant played youth football four decades ago. Football’s impact on young players has been a growing area of research in recent years, and while the Boston University study focuses on the possible long-term impact, other researchers have examined the short-term consequences the sport can have on developing brains. In one recent study, researchers from the Wake Forest School of Medicine followed a group of 25 players, ages 8 to 13, for a single season, measuring the frequency and severity of helmet impacts. The players underwent magnetic resonance imaging tests before and after the season, which showed significance changes in the brain’s white matter. None of the participants in that study showed signs or symptoms of concussions, and the players who suffered more hits saw more significant changes to the brain. As the science evolves and awareness grows, youth football participation has been in flux in recent years. According to the Sports & Fitness Industry Association, participation in tackle football among 6- to 12-year-old boys dropped 20 percent since 2009. 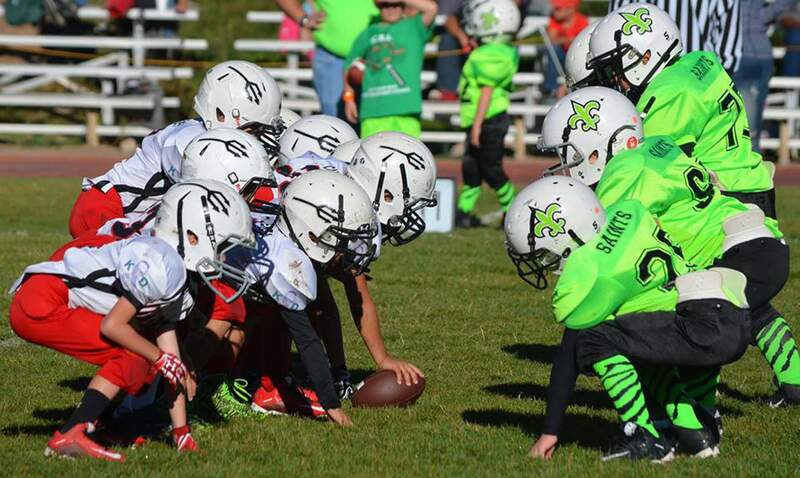 Last year, according to the organization’s most recent report, 2,543,000 children ages 6 to 17 played tackle football, a loss of more than 400,000 players since 2011 for that age group. Flag football, meanwhile, has seen growth. There were 1,401,000 participants ages 6 to 17 last year, a slight uptick from five years earlier and an increase of nearly 225,000 from 2014. In response to health and safety concerns, USA Football is piloting a new version of the game this year that it calls “rookie tackle,” aimed at minimizing the physical toll the sport takes on young players and bridging the gap to the traditional game. The augmented rules limit teams to seven players on the field, eliminate special teams play, shorten the field to just 40 yards and call for players to start from a crouched position rather than a traditional three-point stance. The organization, which is heavily funded by the NFL, is piloting the program this year with about 1,000 children in 10 different organizations and could introduce it to more cities and leagues in the future. Stern says that childhood involvement in sports is “critical” and has many benefits, but he said there is not necessarily a safe age to introduce children to tackle football.